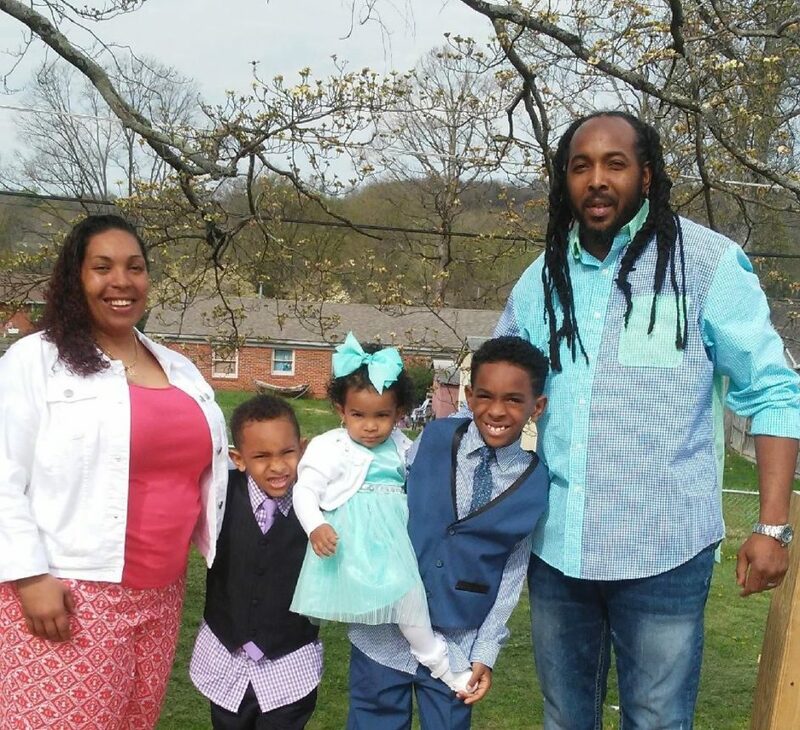 Angel and Terry Bowman Jr. bookend their children: Emmanuel, Trinity and Terry III. Emmanuel and Terry III are second- and third-graders at Lonsdale Elementary School. Trinity is 2 years old. Early in the morning last Nov. 12, the children at Lonsdale Elementary School marched out of their classrooms into a cold, dark rain. They were evacuating their classrooms to escape a carbon-monoxide leak. This was not a drill. 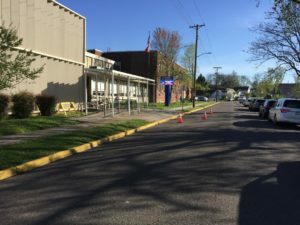 The kids and their teachers walked up the hill to THRIVE Lonsdale, but the doors weren’t yet open, so they walked over to the community center and found it wasn’t open either. They finally found shelter at Sam E. Hill Primary School, where they settled in to wait until county maintenance workers were able to patch up the valves at their school. Lonsdale parents and teachers say there have been four recent carbon-monoxide or natural-gas leaks at the school. “Our teachers have bought carbon-monoxide detectors for every classroom – out of their own pockets,” said Angel Bowman, who has two young sons at Lonsdale and a 2-year-old daughter. She is an active, involved parent who loves her neighborhood school, and she is passionate about the need for a new building. 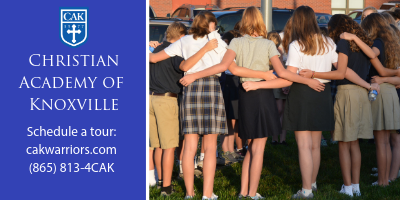 If all goes according to plan, Bowman and other Lonsdale parents will get their wish because Lonsdale is one of three communities that have been recommended for new buildings that are slated to be in the next school budget. But nothing is definite yet, so Bowman still worries, and prays. She and her husband, Terry, worry every single day about sending their boys to spend the school day in an unsafe, overcrowded building, even though she loves the faculty and staff and the community spirit at Lonsdale. Every morning a group of her sons’ friends gathers at the Bowman home to get a ride to school. The last thing they do before walking out the door is pray. The first time Knox County Commissioner Larsen Jay visited Lonsdale Elementary School, he was appalled at the conditions there. “I don’t know how we as a commission can demand excellence from our teachers and students when we have them in an environment that is substandard. Nobody is asking for a crystal palace – they’re asking for something that’s safe. They’re asking for a clean, safe environment. I saw a kid sitting on an overturned Home Depot bucket. I saw mold and rat droppings where they keep the books in the basement. And now gas leaks? “What are we doing? It has come to a point where we have to talk about solutions – not patches and temporary fixes. We have to decide as a community to provide an environment conducive to learning, and these are substandard conditions by any set of measurements. It (a new building) is long overdue. We’re only as good as our worst place, and we have to focus on the solution. Each commissioner has an annual $5,000 discretionary fund, and Jay, who inherited what was left in the fund by his predecessor, Bob Thomas, was so shaken by the conditions he found at Lonsdale and Adrian Burnett Elementary School that he donated the entire amount to the two schools for the principals to use at their discretion. First District school board member Evetty Satterfield represents Lonsdale and said she is optimistic about the prospects for a new school. She has faith that her colleagues will support the Lonsdale community. “We have a board that I respect, and the school board is going to push for Lonsdale. We are in support of Adrian Burnett, as well. They are both high-needs schools, and if this situation were reversed, I’d say we need to put Adrian Burnett first. There will be no school board war over funding. As for Angel Bowman, she’ll keep on doing what she’s been doing: worrying and praying. “I’m praying for a ribbon cutting,” she said.